Raymond was born in Yorkshire in 1921 and educated at Riley High School in Hull. From an early age he became interested in the Paranormal, reading avidly on the subject. The massive slaughter on the Western Front raised serious questions in his mind about the purpose of life and the futility of war. He was engrossed in Harmsworths ‘History of World War 1’ when a male voice suddenly called his name over a primitive radio which was switched off at the time. Alone in his grandfathers seafront mansion, this was an enigmatic experience, but even at the age of 7 he was aware of paranormal forces. The primitive horn-like loud speaker could have only been activated by some kind of magnetic pulse or flux. To gain a more intimate knowledge of he paranormal, he joined a Hull psychic society and it was at this point he found that an ancestor, Robert Cass who died in 1898, was not only the founder of spiritualism in Hull but also a powerful medium who could levitate a heavy table with 3 men on top to the ceiling. They wrote their names there with carpenters pencils. A Psychic thread in his lineage first emerged in 1773 in Leaming, North Yorkshire, where Molly Cass was persecuted as a medium and psychic. In 1938, at a Helen Duncan seance in Bridlington it was predicted that Raymond would develop voice mediumship. Although it was not until October 1971 and the release of Konstantin Raudive’s book, ‘Breakthrough’, that this prophecy came true and as part of a dedicated team of EVP buffs, Raymond rapidly overtook other UK researchers and produced voices of clarity and amplitude which attracted worldwide attention. He produced examples of the much disputed ‘Polyglot’ voices where a sentence would contain the elements of various different foreign languages. Fluent in German, Raymond was able to keep up with European experimenters, aided by his association with the German section of the foreign office. But on his release in 1945 from a German prisoner of war camp he was forced to shelve his passion for psychic affairs and concentrate on earning a living. Interested in acoustics, he qualified to trade in hearing aid technology and founded his own practice in Yorkshire where he was active for 20 years. During this time he found the resources to begin experimenting with EVP in association with the well known experimenter Mike Vinter. Obtaining EVP is a difficult and arduous pursuit with many setbacks and fallow periods and the conditions needed to make a successful EVP recording are largely still unknown. Ray’s office in Hull, where the best results have been achieved, appeared to be a ‘window area’ with a lively magnetic flux upon which the voices seemed to ride. In 1977 at the age of 56 his psychic energies seemed to peter out., much burning of the midnight oil had taken its toll. Raymond Cass was considered one of the ‘Worlds’ foremost researchers into EVP. His voice samples have been played at many lectures and presentations worldwide. 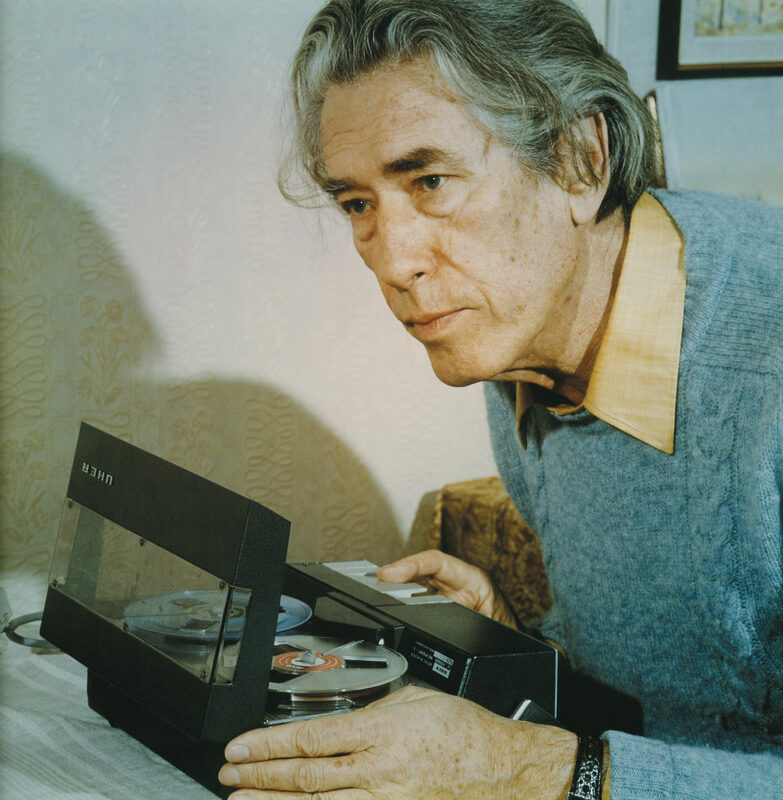 Raymond’s tapes have been the focus of study by various institutions such as the Bio-Energetics Institute in Osaka, Japan, The Parapsychology Unit of Olivert College, Michigan, USA, The ESP Research Associates Foundation at Little Rock, Arkansas and the Parapsychology Unit at Freidburg University. His work has been observed by the War Department, USA and the Ministry of Defence here in the UK. Friedrich Jürgenson was born in Odessa on February 8th 1903. His mother was Swedish and his father was of Danish descent, practising as a physician in Odessa where the family had moved from Estonia. After living through World War One and the Russian Revolution as a child, Jürgenson trained as a painter at the Art Academy and as a singer and musician at the Odessa Conservatory, where he was a contemporary of the concerto pianist Svjatoslav Richter. In 1925 the family was allowed to move back to Estonia where Friedrich continued his training as a singer and painter and shortly afterwards he moved to Berlin for more studies. Here his tutor was the bass-singer Tito Scipa. Scipa, a Jew, fled to Palestine in 1932 and Jürgenson accompanied him, staying for 6 years. During this period while still studying he made a living as a singer and painter and some forecast a successful career in opera for him. In 1938 Jürgenson left Palestine for Milan for more studying and performances. In 1943 when he went to visit his parents, the colder climate caused him serious health problems and his voice was partly damaged, so he decided to give up his professional opera career to concentrate entirely on painting. He was a realist painter, mostly doing portraits, landscapes and still life. Driven out by war in that year he moved to Sweden. Located in Stockholm, he married and became a Swedish citizen. Here he also learnt his tenth language. During the following years he painted portraits of wealthy Swedes and motifs from Stockholm. In 1949 he visited Pompeii in Italy and to get more access to the buried city he showed some of his work to the Vatican and a few days later he received a proposal: the Vatican recognised his talents and asked him to catalogue their archaeological works buried beneath the Holy City. He returned the following year and for four months sat in this damp underworld, painted and contracted pneumonia. The Vatican medics cured him and when Pope Pius XII saw the results of his work he asked Jürgenson to paint a portrait of him. In all, Jürgenson produced four portraits of The Pope. Now he had full access to Pompeii as well and he returned there many times to paint. In 1957 Jürgenson bought a tape-recorder to record his own singing and he started to notice at this time some quite strange phenomena; inexplicable fade-ins and fade-outs on the tapes; abstract visions and telepathic messages: “I sat by the table, clearly awake and relaxed. I sensed that soon something was going to happen. Following an inner pleasurable calmness, long sentences in English appeared in my conciousness. I did not perceive these sentences acoustically but they formed themselves as long phonetic sentences and after a closer study I couldn’t conceive the words as correct English but in a disfigured almost alphabetical way – completely deformed. I did not hear a voice, a sound nor a whisper. It was all soundless.” Later he also recalled that in the spring of 1959 he “got a message about a Central Investigation Station In Space, from where they conducted profound observations of Mankind” and “My friends spoke about certain electro-magnetic screens or radars, that were frequently transmitted, day and night, in thousands to our three dimensional life levels and like living beings had a mission as mental messengers. Undoubtedly one could see these radars as half-living robots that, remote controlled, had the ability like an oversensitive television or radio to correctly register and transmit all our conscious and unconscious impulses, feelings and thoughts.” Jürgenson knew that these fantastic facts really belonged in a Science Fiction world but he carried on hoping to capture these messages on tape. Now located in Mölnbo, south of Stockholm, Jürgenson held his first press conference and the Swedish press were stunned by Jürgenson’s scientific approach to these matters and were understandingly critical. International Paranormal Societies, as well as the Max Planck Institute, the University of Freiburg and the Parapsychological Association in the USA, also took a keen interest and others, like Konstantin Raudive and Claude Thorlin, came to visit and began to work with tape recorders. 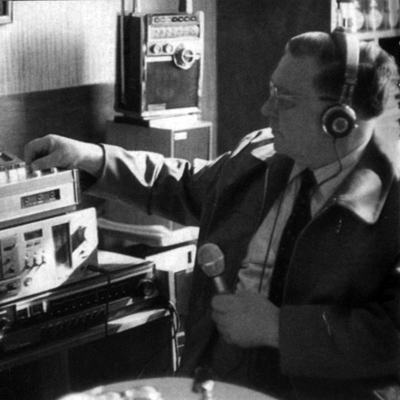 At first Jürgenson only used a microphone and a tape recorder. He simply set up the microphone, set the recorder to ‘record’ and spoke clearly into the room, leaving space for voices to respond. This was a bit tricky for Jürgenson since he always had to play back the tape, sometimes at a lower speed, to hear the voices. These voices spoke in a combination of various languages such as Swedish, German, Russian, English, Italian – all languages that Jürgenson knew and could speak. In spring 1960 one of the voices told him to “use the radio” as a medium and this was the technique he used until his death. He connected a microphone and a radio receiver to the tape recorder and in this way he could have a real-time conversation with his “friends”. Usually he set the radio reception in between the frequencies where there’s generally a variation of noises. Later he fixed the receiving frequencies to around 1445-1500 kHz (1485.0 kHz is now called the Jürgenson Frequency). In 1965 Jürgenson took up painting again but his main activity remained recording. At this time he also revisited Pompeii and found that the site was being mistreated; sponsored by Swedish National Television he made the documentary film “Pompeii – a cultural relic that must be preserved” in 1966. In 1967 a book was published by Verlag Hermann Bauer KG in Freiburg called ‘Sprechfunk Mit Verstorbenen’ about this electronic voice phenomena, or ‘EVP’, as it became known, and in 1968 four documentaries were produced: “The Temples at Paestum and the City of Temples and Graves”, a film on the ancient Greek city south of Salerno, “Death of Birds In Italy”, about the purposeless killing of birds in Italy, “The Miracle of the Blood of St Gennaro”, about the famous blood phenomenon in Naples, and a film documenting Jürgenson’s own archaeological diggings at Pompeii. In 1968 his third book was published in Swedish: “Radio and Microphone Contacts with the Dead” (Radio och Mikrofonkontakt med de Döda, Nybloms, Uppsala). Rome was impressed with Jürgenson’s documentary output. The result of his work at Pompeii was another mission for the Vatican and in 1969 his documentary “The Fisherman from Gallilea – On the Grave and Stool of Peter” was finished and for this Jürgenson received the Order of Commendatore Gregorio Magno from the hand of Pope Paul VI. Shortly after he also made a film about the life of the Pope and the quality of the film caused Paul VI to contact Jürgenson again. Jürgenson then painted three portraits of his second Pope. Around this time he was also permitted to conduct his own archaeolocical diggings in Pompei and he dug out the large domestic house of the former govenor in Pompei. The Latvian born author grew up with two languages, Latvian and Russian. Already as a young man he left Latvia for studies in Paris, Madrid, Edinburgh and later in Uppsala (Sweden) where he studied philosophy, history of literature, psychology and later also became naturalised. He was known in Europe through his literary and philosophical authorship. In 1965 he became acquainted with Jurgensen and his work. Raudive became interested, and after having attended some of Jurgenson’s experiments he decided to start his own investigation – and like Jurgenson became so fascinated with this strange phenomenon that he continued his work until his death. It’s worth mentioning that Raudive without slightest hesitation took over Jurgenson’s postulated spiritualistic interpretation, a rash decision which like Jurgenson’s work later turned out to be fatal for any further recognition, not only of his own work but also of the very Voice Phenomenon. Also Jurgenson’s technical methods and apparatus, if one may use this term at all (a microphone and a radio-receiver), were totally uncritically taken over by Raudive. So the often used term “Raudive-Voices” is a misnomer. Raudive never discovered the Voice Phenomenon and the only, small improvement was introduced by one of his collaborators (professor Alex Schneider, St.Gallen, Switzerland) who hit on the idea to connect the simplest possible “radio-receiver” directly to the input of the tape recorder. Such a device, a germanium diode, is principally the same as the well known crystal detector from the days of the very first radio-transmissions. Here it was used without any tuned circuit and when connected to a short antenna received simply every broadcasting station from the long wave to the short wave bands. On some places it gave good results – and equally good chances for confusion. The voices recorded by Raudive have the same characteristic sound as Jurgenson’s and later many others experimentators, perhaps with one exception. As already mentioned Raudive had studied in several countries and mastered several languages, a fact that leave its mark on the most of his recorded voices, which best may be characterised as multilinguistic – I have counted seven different languages in his voice samples, some times three or four in one single short sentence. His voices also normally were shorter and more difficult to understand then Jurgenson’s. Also all the shortcomings in many of Jurgenson’s voice-recordings – the disturbing background noise, the very small sound intensity, can be found on Raudive’s voices. Seen from a pure technically viewpoint there is no improvement at all. But what I feel is the most important difference between Jurgenson’ and Radive’s voices: The latter is far less critical in his judgement and interpretation. His last years Raudive spend in Germany where he 1972 wrote another book concerning the voice phenomenon. The third was published posthumous 1975.